Strategic advisory support and delivery entail needs-assessments through scoping and gap analysis missions, the development of comprehensive strategic plans, the implementation of WCO standards, and the regular monitoring of performance indicators. During the 2017/2018 period, the WCO conducted 31 such missions. 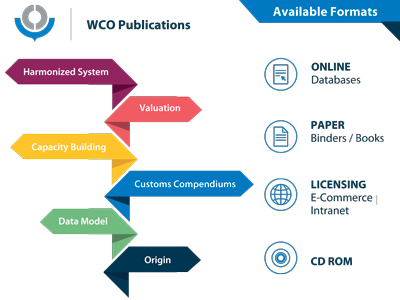 Since its launch in June 2014, the WCO has been promoting the Mercator Programme as a strategic initiative aimed at assisting governments worldwide in implementing the Trade Facilitation Agreement (TFA) of the World Trade Organization (WTO) in a uniform manner by applying WCO instruments and tools, as the TFA provisions relate, to a large extent, to Customs procedures. From July 2017 to June 2018, under the Mercator Programme, just over 140 national capacity building, technical assistance, and training activities have been delivered. Further, the WCO attended or hosted 60 global forums, 60 regional and 35 sub-regional forums dealing with TFA implementation. Thirty-six WCO Members are now engaged in the Programme on a medium to long-term basis, and they have received support in the form of a scoping/diagnostic mission and/or strategic and implementation planning. To manage the implementation of these plans as well as further requests from its Members for TFA-related capacity building support, the WCO created a new pool of strategic advisors – Mercator Programme Advisors (MPAs). New accreditation workshops have been held over the last 12 months, and the WCO now has a total of 58 fully accredited MPAs. CLiKC! (Customs Learning and Knowledge Community) continues to develop the support offered to capacity building activities, with specific areas devoted to enhancing preparation and communication between participants during specific events, such as training workshops or accreditations. Twenty-five e-learning courses on various Customs topics are now available via the platform. A new Single Window e-learning package has been released in English as well as a revamped course on rules of origin, which includes more detailed modules than the previous one. Moreover, a mobile application presenting the major changes made to the 2017 version of the Harmonized System (HS) is now available on both Android and Apple mobile devices. This mobile application can be downloaded by any interested party, and provides additional features for Customs officers with a CLiKC! account. A brand new WCO e-learning portal aimed at building the Customs skills of trade professionals is now live at https://academy.wcoomd.org. Courses currently address the following topics: HS (five sector-specific courses), WCO Data Model (two courses), and Customs Valuation (two courses). More courses will be added in the coming months. Even though the courses are currently available in English and French only, more languages will be available in the future. The WCO VCOA initiative, comprising four highly interactive modules supplemented by online tutoring and two optional modules on the CLiKC! Platform, took place in September 2017 and March 2018. The 6th Session of the VCOA in September 2017 had 33 participating Customs officials, representing 27 WCO Member administrations, and the 7th Session in March 2018 had 34 participating Customs officials from 25 Member administrations. The VCOA’s main objective is to provide newly recruited Customs officials with knowledge of core Customs competencies, the concepts of clearance procedures and practices, international standards and conventions, and how to apply them in the workplace. Upon completion of the activities, and after being evaluated, 45 successful Customs officers were awarded certificates. Three sessions held during the 2017/2018 period, for English, French and Spanish speakers respectively, brought together 38 officers over a six week period. The Fellowship Programme is associated with the WCO Leadership and Management Development Programme, and aims to develop middle managers’ abilities, skills and knowledge to ensure that they can actively participate in the reform and modernization processes of their home administrations. The CDP is an initiative supported by Japan Customs that provides an opportunity for selected candidates from developing Member administrations to undertake work at the WCO Secretariat for 10 months as Professional Associates. Within the framework of the 2017/2018 Programme, 10 Customs officials – from Azerbaijan, Bangladesh, Burkina Faso, Cuba, Indonesia, Mexico, Nigeria, Sudan, Thailand, and Timor-Leste – worked at the Secretariat on a number of projects and activities. Fifteen LMD workshops were conducted during the 2017/2018 period. An additional five have been delivered as part of the Fellowship and Career Development Programmes. Taken together, these workshops have provided around 360 executive, senior and promising middle-level Customs Managers with a better understanding of modern management approaches and their own personal leadership attitude and behaviour, based on improved self-knowledge and self-awareness. In addition, one Customs administration benefited from a “Top Executive Retreat,” which is aimed at strengthening the capacity of senior management to lead and drive reform and modernization agendas. The PDDT, which is intended to enable administrations to gauge where they stand in the context of HR standards and best practices, has been updated, especially its section on Gender Equality and Diversity. Diagnostic questions, information on common weaknesses and potential solutions, and improvement options have been added. Chapter 5 of the Capacity Building Development Compendium was updated to provide a Customs-specific project management context, based on international best practices. The chapter addresses the specific nature of Customs projects, taking into account the multidisciplinary nature of such projects throughout the initiation, planning, implementation and evaluation phases. The update of the Donor Coordination chapter has been designed to take into account the entry into force of the TFA and to inform Customs administrations about the international donor and development context after the TFA’s entry into force. It provides high-level strategic advice for engaging with the complexities of donor funding, taking into account experiences from other Members. More specifically, the chapter addresses questions of Customs’ positioning in the context of the United Nations (UN) Sustainable Development Goals (SDGs), the Paris Declaration on Aid Effectiveness and the Accra Agenda for Action, as well as the special and differential treatment (SDT) provisions of the TFA. Based on the increasing number of requests in the area of HRM, the WCO, in the framework of the WCO-WACAM Project funded by Sweden, developed the Guide to Implement a Competency-Based HRM System in a Customs Environment. The Guide is aimed at Customs administrations’ Top Management, Modernization Units/Teams, and HRM Senior Managers. an integrity support mission in Serbia, which focused on integrity testing (June 2018). In December 2017, at the invitation of the Agency of the Republic of Kazakhstan for Public Service Affairs and Anti-Corruption, the WCO participated in the “Research to Practice Conference: Modern Anti-Corruption Standards and International Cooperation” that was held in Astana. The WCO was also invited by the International Monetary Fund (IMF) to present the Arusha Declaration, the WCO integrity guidelines and current initiatives in countering corruption in Customs at the Regional Seminar AFRITAC West2 that took place in The Gambia. Moreover, the WCO participated in several meetings organized in Vienna, Austria by the UN Office on Drugs and Crime (UNODC), which focused on the implementation of the UN Convention against Corruption. The WCO also participated in the Global Anti-Corruption and Integrity Forum, organized by the Organisation for Economic Co-operation and Development (OECD) in March 2018, as a panellist on the session on “Integrity & Trade: No Need to Grease the Wheels,” providing the WCO’s perspective on trade performance, trade facilitation, and integrity. With the objective to gather examples of good practices and exchange information on Members’ respective work in this area, the WCO has established a Virtual Working Group on Gender Equality and Diversity with a dedicated section on the CLiKC! platform. Around 20 countries have participated in the meetings held so far, and various documents, including presentations and gender equality action plans, have been uploaded in a shared folder on CLiKC!. In addition, the WCO Secretariat has organized bilateral conversations with a number of the Organization’s Members to further discuss their work in this area. The ultimate objective of this exchange is to develop a compendium of good practices that can be used as a complement to the WCO Gender Equality Organizational Assessment Tool (GEOAT). Under the framework of the Finland-ESA Programme II, the WCO has started developing a blended learning package on gender equality and its links to Customs reform and modernization. This package will include two tracks: a one-week training event targeting middle- and senior managers, focusing on HRM and gender mainstreaming; and a broader e-learning module, focusing on raising general awareness on gender equality, targeting all Customs officers. The one-week training has been tested and finalized, while the e-learning module is expected to be available by the end of 2018.